Planning to move to your dream destination USA? Well, if you are wishing to migrate to USA on various reasons such as education, business and work, there are many options for an alien to be the permanent resident of US, and one among them is US Eb-5 Visa Program. 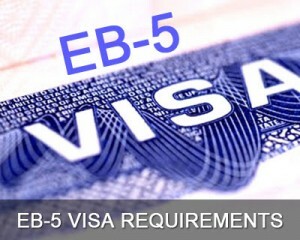 What is US EB-5 Visa Program? United States EB-5 visa program is also called as immigrant investor visa program that will allow foreign investors to actively invest an amount from $500,000 to $1M USD in the American economy. Can invest directly in a new commercial enterprise or in a regional center. Remember all latest commercial enterprises must have been established after November 29, 1990. However all the old enterprises may qualify if the investment is above 40 percent in the number of employees or net worth? All the foreign investors must meet the basic United States Citizenship and Immigration (USCIS) requirements to get their US permanent residency through the US EB-5 visa program. The investor must meet capital investment amount requirements, job creation requirements, and have to guarantee that the investments received by the business qualifies US EB-5 visa program. Only if all the requirements have been successfully met and approved by the USCIS, US EB-5 visa applicant can obtain their permanent residency green card. The US EB-5 visa investment can take the form of cash, inventory, equipment, secured indebtedness, tangible property, or cash equivalents of U.S dollar fair-market value. To apply US EB-5 Visa, fill out MoreVisas Enquiry Form, so that one of our visa executive will get back to soon.